It’s sad to say, but we see this all too often. An old website gets a facelift, and the new site looks great. But it’s not long before the website owner notices that they’re no longer getting any business from people finding them on the web. What happened? We’ve written before about why good SEO consultants make lousy web designers, and vice versa, and there are just some SEO techniques that great web designers don’t really think much about. There are two main factors that govern where you rank in the search engines: Relevance and Reputation. 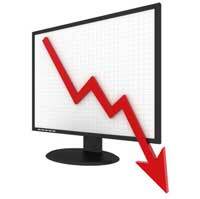 A significant problem with either one of them will cost you rankings in the search engines. During the website redesign, the text copy on your pages may be updated. Certainly the HTML code behind the pages is changed. It’s not at all uncommon for the new copy to fail to use some of your essential keyword phrases or for them not to be included appropriately in the code. This makes it difficult for search engines to recognize that your page is an appropriate match for those keyword phrases. This accounts for 40-50% of where you rank in Google. It’s important in other search engines as well, but Google weighs it more heavily than the rest of them. Your reputation (sometimes called “authority”) is measured by your link popularity:” the number and quality of other websites that link to yours. Over time, the pages on your website have earned significant link popularity, helping them to rank well in the search engines. Unfortunately, most website redesign projects result in new URLs for the pages on your website. Without explicit action, all the link popularity earned by you or previous page URLs is simply lost. This is related to the issue of canonicalization we discuss in the SEO portion of our website, as well as in our blog. The solution is to do the proper kind of “redirect” from the old URL to the new URL so that the new URL can inherit the link popularity and reputation earned by your previous version of the page. There are multiple kinds of redirects that will ensure that anyone who tries to go to your old page will be sent to the new one. But only one kind, the 301 permanent redirect, will also redirect the link popularity value from the old URL to the new one. Only a 301 permanent redirect, will redirect link popularity from an old URL to the new one. Obviously, if this happens to you you need to jump on it as quickly as possible and get things fixed. Better still would be to anticipate this potential disaster and deal with it before your redesigned website even goes live. If this has happened to you and you need help recovering from the loss of search rankings, Rank Magic can help. Has this happened to you? Share your experience in the Comments below. WE hope you’ll Like, Tweet or +1 this post if you found it helpful. You may realize that if you enter a URL like rankmagic.com into your browser you get to the same page as when you enter www.rankmagic.com. It doesn’t seem to matter which way you do it. But for the search engines, it can make a difference. 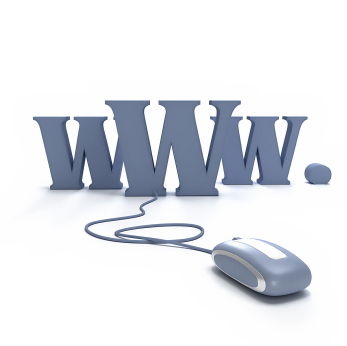 The WWW refers to the World Wide Web, which many people consider to be synonymous with the Internet. Technically, it’s not. The WWW runs on the internet like email, but is not the Internet itself. 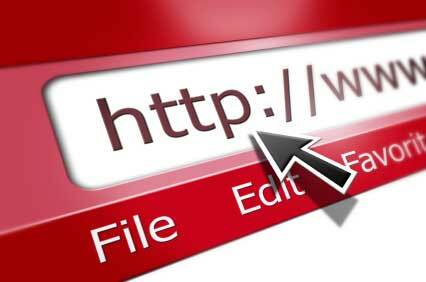 The “www” part of an Internet address isn’t usually required, though, so you normally can use it or not when typing a URL into the address bar of your browser. Suppose you have 100 links pointing to http://example.com and another hundred links pointing to http://www.example.com. Search engines will see that each URL has 100 inbound links, and that’s all you’ll get credit for. However, if they all pointed to http://www.example.com you’d get credit for all 200 links. This problem of multiple addresses for the same web page is called canonicalization. We have a full discussion of it on our web site. You can’t control how other people link to your site and whether they use the “www” in the address or not. But you can set up a permanent redirect so that any time they don’t use the “www”, the link gets directed to the “www” version of your web address. 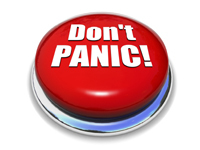 We have instructions on how to fix your home page canonical issues on our web site. Aside from redirecting external links to the “www” version of your address, you should also make sure your internal links pointing to your home page do the same. It’s very common for home page links from other pages on your site to include the actual page, as in www.example.com/l (there are several possible alternatives to index.html that your site may use). You should make sure that your own links to your home page don’t include that “index.html” part, and just point to www.example.com. Read more about that pesky “www” and canonicalization here. Mark Jackson has a good article in Search Engine Watch about making sure your internal links are consistent. While there’s enough good stuff there to make it worth your while to read the entire article, of particular importance is his discussion of links to your home page. We find many (perhaps most) of our clients commit this easily fixed mistake. Now let’s look at the home page of your site. I would consider your home page to be located at http://www.example.com/, not at http://www.example.com/index.html or http://www.example.com/default.aspx. Even though the index.html or the default.aspx file is your site’s home page, the real home page is http://www.example.com because that’s the page everyone tends to link to when they link to your Web site. So, why should your internal navigation link to the index.html file instead? Your Web site’s “home” link in your navigation should link to your real home page (i.e., http://www.example.com/). If you aren’t being consistent when you link internally on your site, something you have complete control over, then you’re losing out on better search engine rankings. It’s quite possible that your internal linking inconsistency isn’t passing “link credit” around your site properly. The home page is the most important page on your site. Why pass some of your “link credit” to one URL (http://www.example.com/index.html) while other “link credit” is being passed to another URL (http://www.example.com/)? It’s important to fix the internal links to your home page, and consistently link to what I call your “real” home page. If other web sites link to yours inconsistently (which will happen sooner or later), different versions of the same pages can get indexed in search engines. This forces the search engines to choose the best URL to rank. Your PageRank will be diluted by the fact that some links are going to different URLs for your page. Do you have this problem? It’s easy to check. In your browser, navigate to www.yoursite.com (substituting your own domain, of course). Then go to yoursite.com (without the “www.”). If both go to the exact same URL (check the address box in your browser), then you’re in good shape. But if one displays your URL with the “www” and the other displays it without, then you have this problem. That’s it! Just test to make sure it works. Of course, you still need to make sure all the sites linking to yours are linking to the right version, and that if they’re linking to your home page they’re not including the actual page filename after the .com. But this little trick should take care of the worst of things.